Milk Chocolate (chocolate, skim milk, cane sugar, cocoa butter, milk powder, organic blue agave inulin, soy lecithin, vanilla extract), cane sugar, calcium carbonate, colored with(beetroot juice, turmeric root extract, purple cabbage juice) gum arabic, vanilla extract, carnauba wax and beeswax. To this mom,candy coated chocolate, is still junk food (food with little nutritional value). The small amount of milk powder and organic blue agave inulin, redeems it some. Inulin was mentioned in one of my earlier posts http://flavorscientist.com/2012/04/27/nature-valley-100-natural-protein-chewy-bars-review/. Besides sweetening properties, inulin, a polysaccharide is a fiber source and probiotic. Usually, I like new foods and looks, but chocolate coated candies are a classic that I depend on being unchanged. Unreal™, I like what you are trying to do, but find it ordinary. 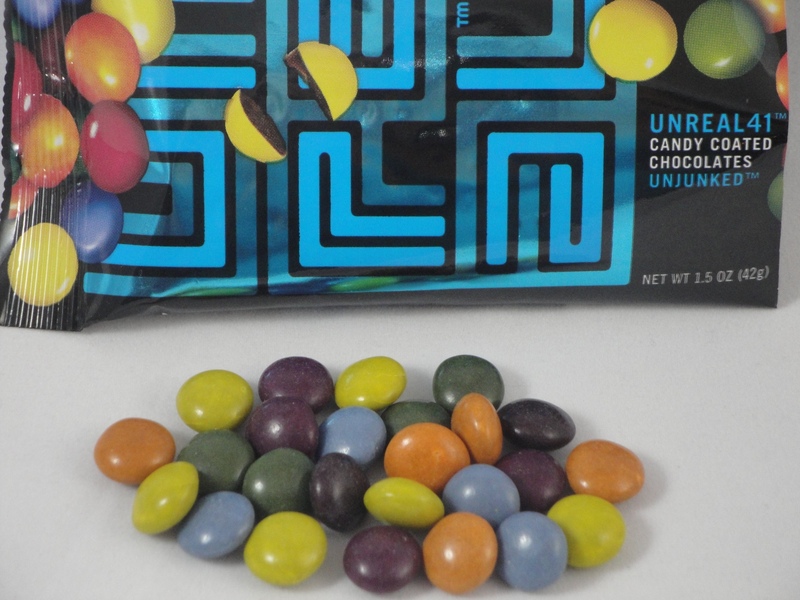 Make it extraordinary and give us a unique candy to enjoy; so I don’t have to compare it to a tried and true classic candy.